It exists a variety with a thick planchet with a reeded edge and a variety with a thin planchet with a plain edge. Text : Thos. & Wm. 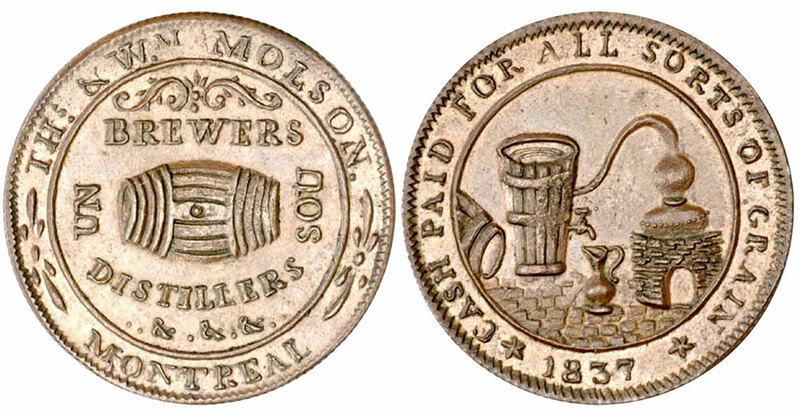 Molson - Brewers Distillers - Un sou - Montreal. Cash Paid for All Sorts of ? 1837. 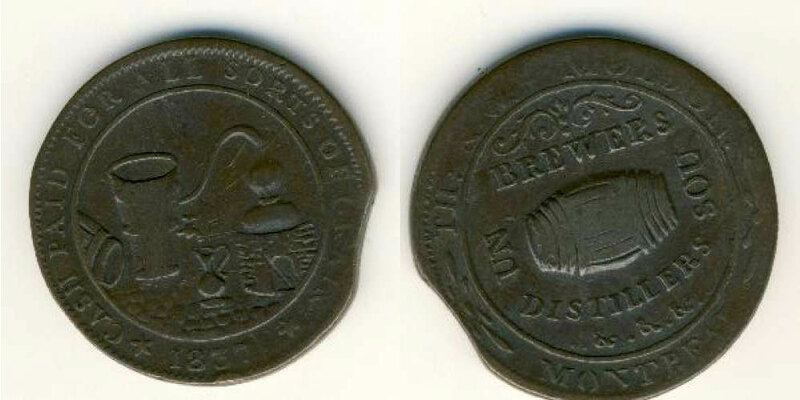 Plain edge tokens also exist.